The Insurance Journal recently released information on bike crash patterns. Much of the data came from the Spotlight on Highway Safety: Bicyclist Safety report published by the Governors Highway Safety Association. 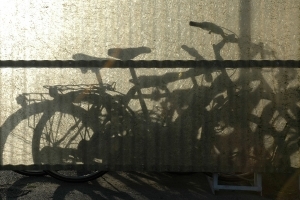 The report showed a 16 percent increase in annual bicyclist fatalities between 2010 and 2012. In this same period, there was only a 1 percent total increase in overall motor vehicle fatalities. In 2012, there were 722 bike riders killed. In 2011, there were 680 bicyclists killed, and in 2010, there were 621 deaths. Most victims were adults, with 84 percent of those killed age 20 or older. This is a big difference compared with 1975, when only 21 percent of the bike riders who died in accidents were 20 or older. This change reflects the fact the most likely victim is no longer the child riding for recreation but instead is the adult riding to work or to run errands or commute. Other data on victim demographics also reflects the big change that has come with the rise of bicycle commuting. For example, a total of 69 percent of all bicycle riders killed in accidents lived in urban areas in 2012, compared with 50 percent in 1975. The reason so many more adult urban bikers are dying is because so many more are commuting regularly on bicycles. Just since 2000 alone, there has been a 62 percent increase in the number of bike riders using their bikes to commute. Bicyclists killed are predominantly male, and men made up 88 percent of total bike accident victims in 2012. Many of the victims are not wearing helmets at the time of the fatal collision. In 2012, two-thirds of the cyclists killed did not have helmets on. However, even as the number of bike accident fatalities has dramatically increased, the number of impaired bicycle riders has remained relatively stable since the 1980s. This means there was no increase in drunk bikers to help explain why so many more people are dying. The reality is, drivers don’t know how to effectively share the road with bicyclists, and many cities are simply not equipped to protect bicyclists. Boston is trying hard to be bike-friendly. In 2011, Boston was actually rated the safest bicycling and walking city according to the city of Boston. Still, 2012 saw the deaths of five riders and many more injuries and hospitalizations. There remains ample room for improvement.